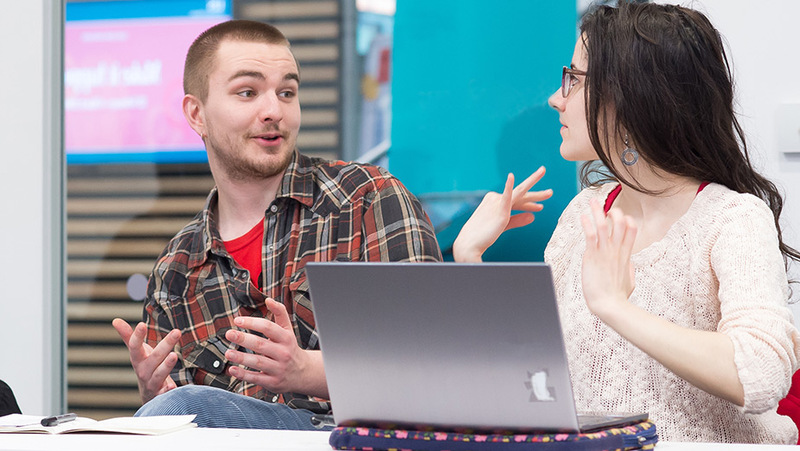 By starting your degree studies at Sussex with our Foundation Year, you develop a wide-ranging understanding of the social sciences, from current issues affecting the globe to the structures that shape our societies. You experience a range of subjects in the Social Sciences through modules in geography, anthropology, international relations, development, law, politics and sociology. Successfully completing your Foundation Year guarantees that you'll be able to continue studying your choice of degree from a wide range of subjects in the Social Sciences at Sussex. You'll build essential skills in critical analysis, developing arguments and self-expression through a dedicated programme of support and development. No matter which social sciences subject you go on to study, our experienced staff will help you develop the academic knowledge and practical skills you’ll need to succeed throughout your degree and in your future career. A-levels should normally include a relevant essay-based humanities or social science subject. You will need to demonstrate evidence of academic ability in essay-based humanities and social science subjects and maths regardless of overall points score. Pearson BTEC Level 3 National Extended Diploma should be in the subject area of Applied Law, Criminal & Forensic Investigation and Health and Social Care. Including essay-based humanities and social science subjects. Scottish National 5 grade C in Mathematics. Evidence of academic ability in essay-based humanities and social science subjects and maths. Relevant state (Year 12) High School Certificate, and at least 75% in the ATAR or UAI/TER/ENTER, or a Queensland OP of 10 . Evidence of your academic ability in essay-based humanities and social science and a good level of mathematics. Evidence of academic ability in essay-based humanities and social science subjects. Irish Leaving Certificate (Higher Level) at H3 H3 H3 H4 H4. Evidence of your academic ability in essay-based humanities and social science subjects. Our entry requirements are guidelines and we assess all applications on a case-by-case basis. This course prepares you for further study in the social sciences. You develop your personal and academic abilities while trying different subjects before choosing your degree. You gain transferable skills by giving presentations, taking part in seminar discussions and writing essays. You’ll usually be awarded a BA when you graduate, but this may change depending on your degree choice (for example, if you choose Law after your Foundation Year, you’ll be awarded an LLB).